Happy Summer! On Saturday, July 11: Get ready for the best networking mixer of the year on our 400 person private yacht! Last year was a blast and this year will be even better with guest DJ’s and better raffle tickets from our sponsors! 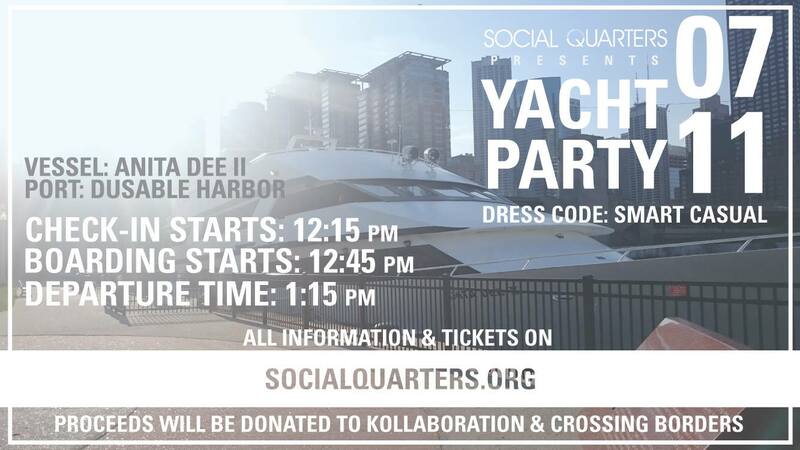 Chicago Taiwanese American Professionals (TAP-Chicago) is proud to be a community partner of the Social Quarters Yacht Party along with several other local organizations. This will be our 2nd annual joint mixer, buy early and save! You don’t want to miss one of the summer’s best events! – Full cash bars on all 3 floors! – After Party will be at SoundBar in the late evening. * Please arrive early so we can set sail promptly. * Don’t forget to bring your business cards! * Event will go on Rain or Shine. * Minority of proceeds will be donated to the presenting organizations. Want to be upgraded to VIP tickets for free? Click “going” on Facebook and share the event, and you will automatically be entered to win!